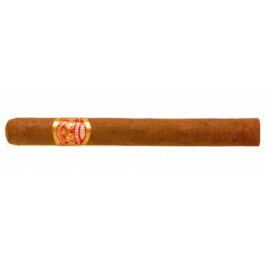 The Partagas Princess is a pretty complex medium-full Habano, of Conchita format, 5" (127mm) long, of 35 ring gauge, and comes in a box of 25 cigars. A good small Partagas for a "walk the dog" quick smoke. The medium tobacco taste is blended with earthy and peppery flavours, what comes to be the main characteristic among Partagas cigars but maybe a little milder.